Basketball was the first serious sport I collected. Though I started with baseball, I went absolutely NUTS for basketball cards. And as I look back on those years of collecting basketball, I could see why it was the perfect time for that sport. It was the early nineties, and I was a young boy growing up in Portland, Oregon. 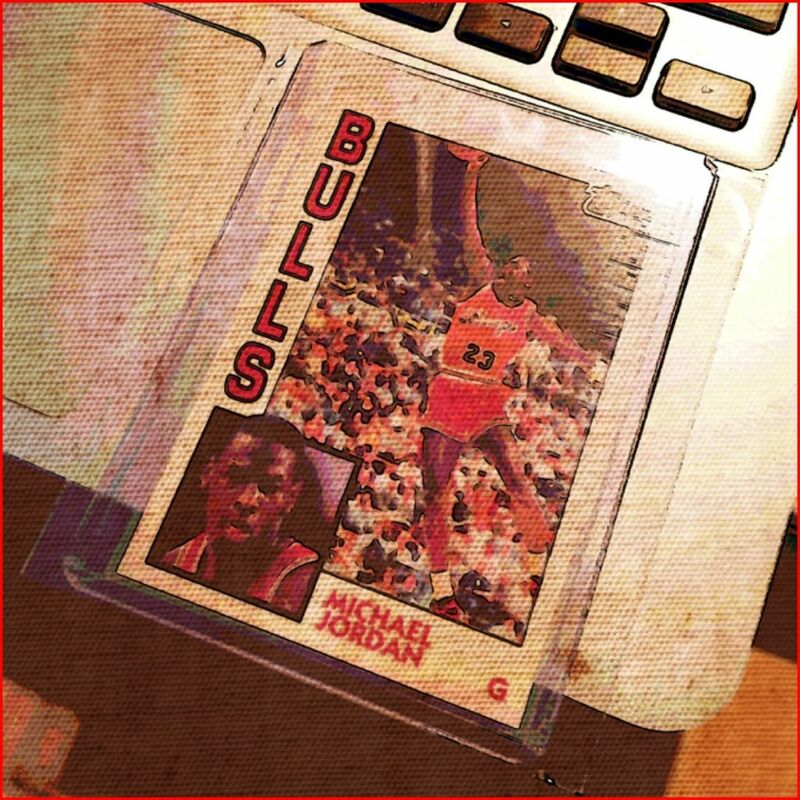 The Trailblazers were a scorching hot team that made it to the NBA Finals twice in a span of a few years, Michael Jordan was at the top of his game, and soon a young Shaquille O'Neil would hit the hardwood causing a gigantic splash in the basketball card world. It was a magical. And all I wanted to do was to pour my money into basketball cardboard. So what about now? I still buy basketball on occasion... but it's not my main interest. 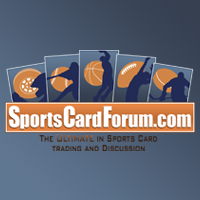 Today we'll examine the reasons for and against getting into basketball cards. Let's begin! First off, you obviously have to be into basketball to start collecting the cards. And there's a lot to like about basketball. The game is widely popular around the world, and playing the game is as easy as getting a basketball and finding a court in a park near you. Basketball is a fast paced game with a lot of scoring. Dunks are always sweet to see, and finding coverage of pro basketball is not hard to do - the NBA gets a ton of media coverage (as does the NCAA). Though the game is simple to understand, is easily accessible on television, and exciting... 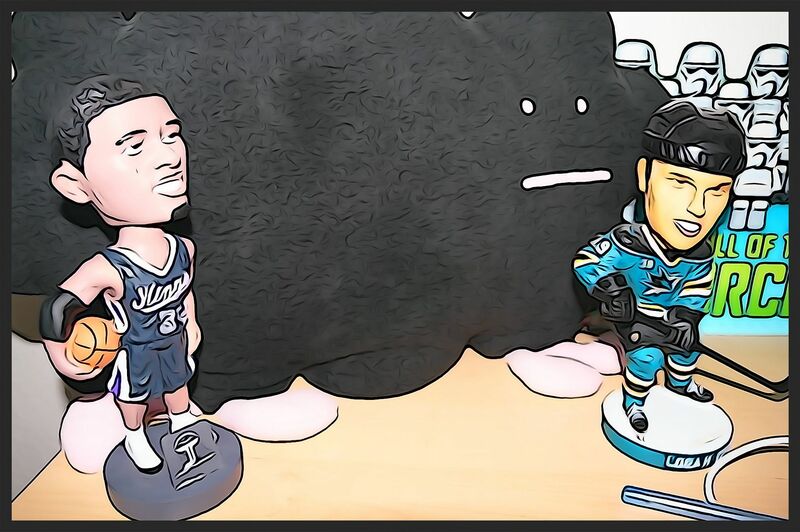 I found myself gravitating to hockey because of my perception of the athletes in the NBA. The NBA has long touted the superstar players of their league. While many of those stars are great players, I can't say the same for the greatness of their apparent attitudes. This is a definitely a subjective area I'm walking into, but to me it makes a big difference when considering what to collect. The money-loving, self-centeredness of some of the biggest stars in the NBA is a huge turn-off. I was around when Magic Johnson, Larry Bird, and Michael Jordan roamed the hardwood. Those players had a fearsome competitive spirit - they just wanted to win - no matter what. When I look at NBA players today, some still have that fire - namely the just-injured-for-the-season Kobe Bryant. But many do not, and they make it very apparent off and on the court. The sport I ultimately ended up choosing to go with, as you all know, was hockey. There's a sport where the players make considerably less money, but often exemplify a humble, team spirit, and sacrifice by sticking up for teammates in a fight, enduring hit after hit, and even diving in front of fast moving pucks to block shots. I just love seeing that type of commitment on just about every team in the league. Although I may not like certain aspects of how pro basketball have changed, the basketball card hobby is still a very strong option when considering which sport to collect. Since the NBA is so star driven, and since it has such a worldwide appeal, NBA rookie cards can pretty much shoot for the moon if a player becomes a bonafide superstar. When comparing NBA star rookie cards to NHL star rookie cards... it can look pretty depressing (for the NHL). NBA stars tend to grab much higher prices. Though NHL superstars like Crosby and Stamkos have pretty significantly priced rookie cards, check out how much it takes to get a comparable LeBron James, Kevin Durant, or Derrick Rose. While the NBA has some pretty out of this world prices, it can also have some subterranean ones too. I have found that the NHL holds a lot of middle-of-the-road rookies at middling to high selling prices. The difference between the highest of the high and the lowest end rookies in the NBA is much more significant. Besides rookies, basketball is also the king of the insert card. No other sport holds inserts in such a high regard as basketball. Many of the older 90's and early 2000's insert cards can still command a very high price. Many of those inserts feature outrageous designs and superb action photos... there are no jerseys or autographs. In this day an age where any card without a memorabilia piece, autograph, or very low serial numbering isn't worth collecting, basketball collectors have kept the demand for non-hit inserts high - particularly those of Michael Jordan. Many of these Jordan inserts run well past the $100 mark. Speaking of His Airness, is there anyone in any sport more well-known and loved? Well, I guess that's debatable, but MJ is undeniable is his popularity. People just love the guy and they want his cards. He's not a long-ago legend like Babe Ruth or Mickey Mantle. He's a modern day legend that we can always reference in video form. I'm sure there are collectors out there that just want to collect him. And who could blame them? In terms of basketball card companies, like baseball, there is only one officially licensed choice at the moment - and that's Panini. Panini is the exclusive producer of basketball cards. A couple years ago, when Panini first got the exclusive contract with the NBA, I thought they would falter. Panini cards couldn't match up to their Upper Deck counterparts - and it showed through their selling values. In the last few years, Panini has not just sat around twiddling their thumbs and enjoying their exclusive rights to basketball. Panini has shown it'self to be a company that constantly innovates and tries out new concepts and ideas. It feels as though Panini is only now hitting its stride with their basketball cards. The unfortunate thing for Panini, and all of the basketball collecting world, is the absence of Jordan in licensed products. 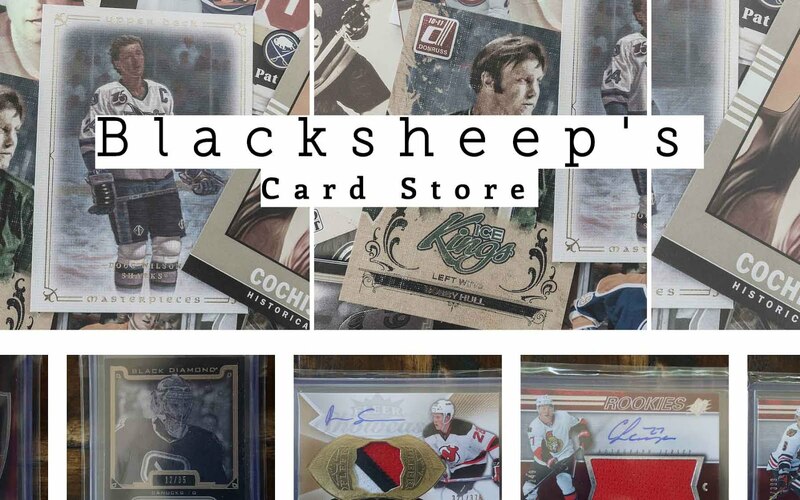 To get Jordan autographs and cards, collectors must look towards Upper Deck. Upper Deck can make basketball cards... but only featuring college uniforms and logos. Having college only cards really diminishes the Upper Deck product line. Upper Deck has done a great job of producing high quality, great looking cards... but without official NBA logos and photos.. they all fall a little short - even when a Jordan autograph is included - because a Bulls one would always be better! And Upper Deck is saturating the market with North Carolina Jordan autographed content at the moment - there's just way too much of it out there. Stop it already! So if you're looking to collect basketball cards, consider all the facts. In terms of pro factors going for it, basketball has great rookie card potential, a company that is improving every year in Panini, and (of course) Michael Jordan. Negatively, collecting basketball cards can be more expensive on average and limited in terms of having only one officially licensed producer who, unfortunately, can't make cards of 'you know who'. Let me know what you think about collecting basketball cards! Have you anything to add? I'd love to hear your thoughts in the comments section.